Dr. Tayseer Al-Smadi, CEO of Strategieh Consulting, had spent the last 18 years in public service starting as economic researcher at the Research and Studies Department of the Central Bank of Jordan (CBJ) from 1988 to 1998, then as a principal economist at the CBJ from 1998 to 2001. In the second half of 2001 Dr. Al-Smadi moved to the Ministry of Planning and International Cooperation (MOPIC) to become the director of Policies and Studies Department until May 2004 when he was appointed as the secretary general of the MOPIC. Dr. Al-Smadi served as minister of Planning and International Cooperation from February to April 2005, and minister of Public Sector Reform from April to November 2005. Dr. Al-Smadi contributed to the development of many programs and initiatives aiming to improve the standard of living and performance of the economy and to maximize the country’s gains from the various bilateral and multilateral treaties and trade agreements. In particular, he was responsible for the relationship with the World Bank and was involved in the preparation of the country assistance strategy (CAS) from 2003 to 2005. Dr. Al-Smadi was involved in the preparation, implementation and monitoring of the structural adjustment programs with the IMF. In addition, he contributed to the preparation of the Social and Economic Transformation Program (SETP) from 2002 to 2004. He worked with World Bank experts in devising a prioritization model for the projects and programs to be included in the SETP. Moreover, Dr. Al-Smadi chaired the steering committee for the preparation of the Social and Economic Development Plan from 2004 to 2006, included in its membership the secretary generals and director generals of the ministries and public institutions. He also led the team that prepared the macroeconomic framework for the plan. Moreover, he chaired a national team to build an early warning system for the economy. Dr. Al-Smadi was also involved in the preparation of the Jordan Poverty Assessment Report in 2004, a collective effort of the World Bank and several leading government institutions. He worked closely with the World Bank on analyzing the pension systems in Jordan and proposing the necessary reform to rationalize and guarantee the long-term sustainability of the systems. Dr. Al-Smadi also worked on the preparation and implementation of the Public Sector Reform Program. 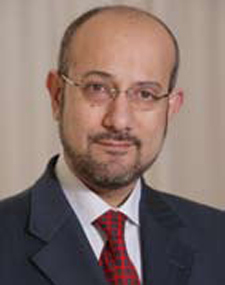 During his service in the public sector, Dr. Al-Smadi was on many institutions' board of directors, including Industrial Development Bank, Jordan Investment Board, Jordan Export and Development Centers Corporation, Central Electricity Generating Company, Housing and Urban Development Corporation, Water Authority of Jordan and Jordan Valley Authority. He was a member of the steering committees for the privatization of Jordanian electricity companies and the Jordan Post Company as well as on the technical committee for the privatization of the Jordan Mining Phosphate Company. He was instrumental in preparing the national sustainable development strategy and the national sustainable development report that has been submitted to the WSSD in Johannesburg in 2002. Dr. Al-Smadi holds a Ph.D. in economics from Utah State University and M.S. in economics from the University of Jordan.